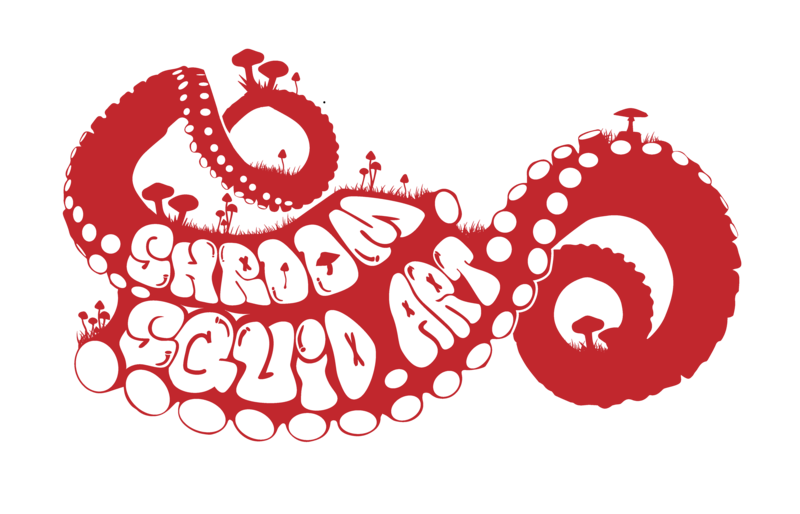 Shroom Squid logo created for artist/Photographer Sarah Hunter. She had an old piece of art she created and the name shroom squid. I was asked to create a new identity that would work as an update to the old style. For process I started with images of Squid tentacles and mushrooms. layering down and creating vector graphics for each. Once I was happy with my library of assets that had been created, I pieced them together to create the form I required from my base sketches. For the font I took a heavy rounded sas serif font, outlined the type and altered it to fit the shape and motif of the vector art i had created.